Week Sixteen.....What and Where is this! 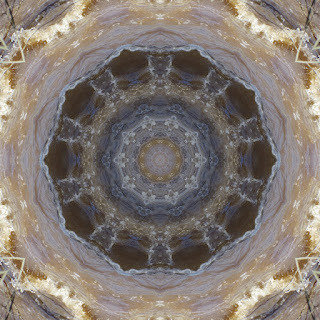 I love water so I am continuing on that theme in this series of kaleidoscopes. 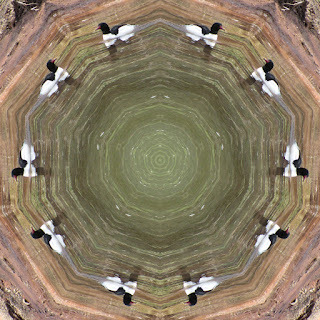 It is very early Spring here and really no leaves yet at Red Rock Crossing area of Sedona so I went to Oak Creek for inspiration and created "10 ducks in the water"
anyone know what type of duck this is? I think a common merganser? Week Fifteen.....What and Where is this! Water is a recurrent theme for me. We had a large snowstorm earlier this week in the high country north of Sedona and then it became quite warm so now Oak Creek is really rushing! 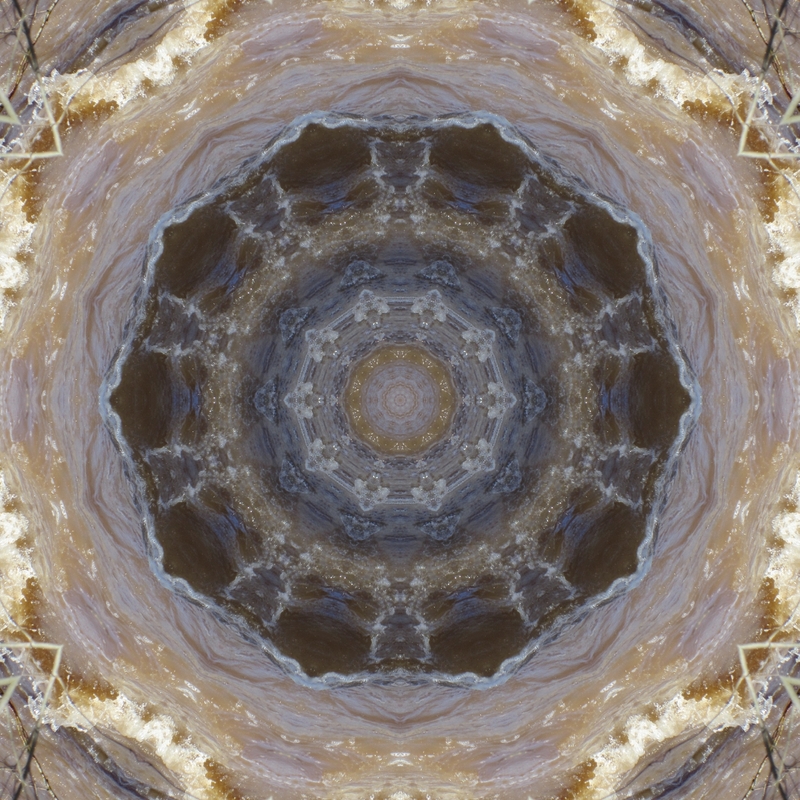 The kaleidoscope was created of a picture of Cathedral Rock with a rushing Oak Creek in the foreground. Tomorrow I attend a Native Plant Workshop in Sedona so I can identify better all the beautiful spring flowers that are beginning to pop up everywhere. original photo capturing the energy of the water! 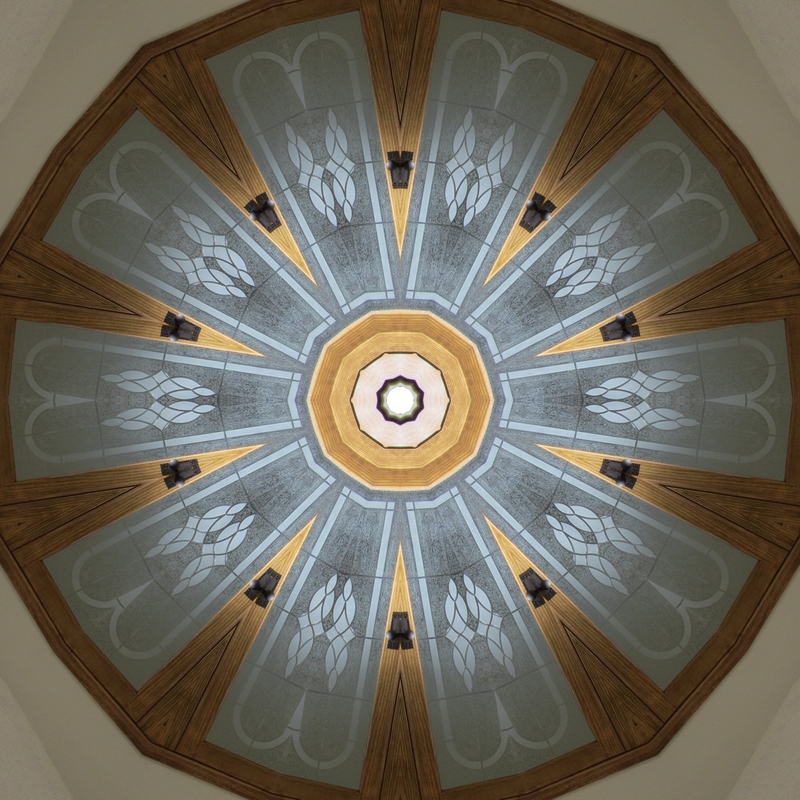 Week Fourteen.....What and Where is this! The past 8 weeks have been totally consumed by my renovation of my investment property. I have had up to 5 contractors there at a time with my 3 basic contractors putting in up to 50 hours per week. I feel like I live at the Home Depot. We are entering the home stretch with several interested buyers so after next week I hope to be able to think about something else! 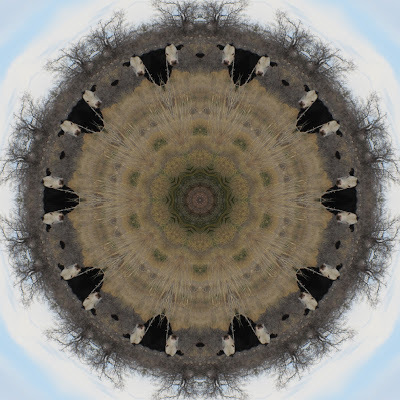 To celebrate the 95 percent mark, I did a kaleidoscope today of the new wooden double doors at 10850 which separate the den from the living room. I call it double doors! see my other blog for details about the house for sale! Week Thirteen.....What and Where is this! Cows and the Open Range of the West! I am enjoying exploring the area around my winter home which is open range for cattle between here and Sedona. This time of year the cows and calves are everywhere and the grasses are just beginning to green up for Spring. This morning we came upon brown cows, black cows, black cows with white faces and every other variety of coloration. Saba loves them and the wide open vistas of the west are truly stupendous. 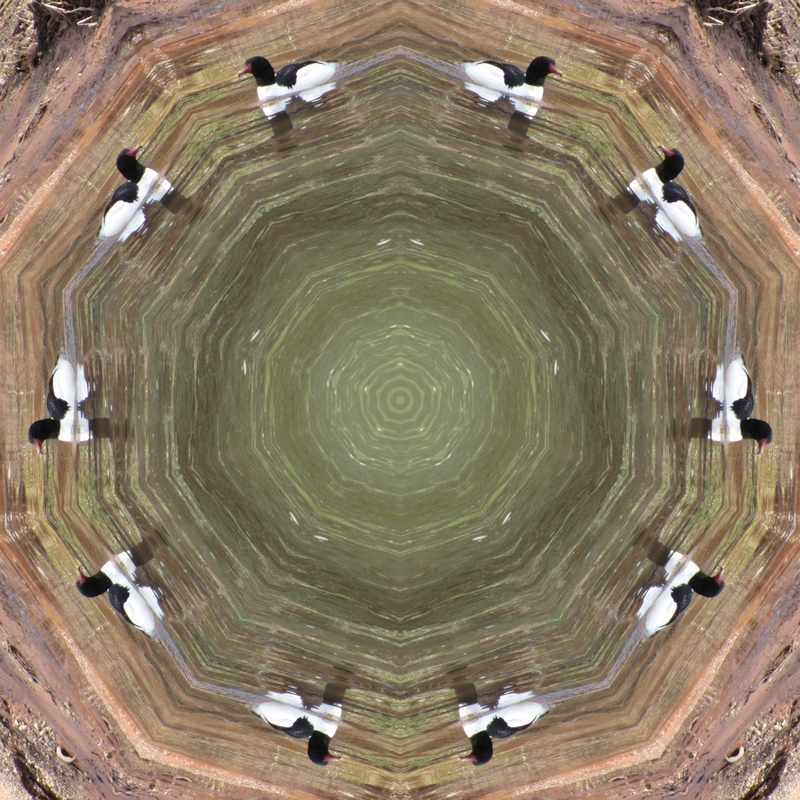 I walked for an hour this morning and took 54 wonderful photos which are destined to become kaleidoscopes. The first one is called white cow face! 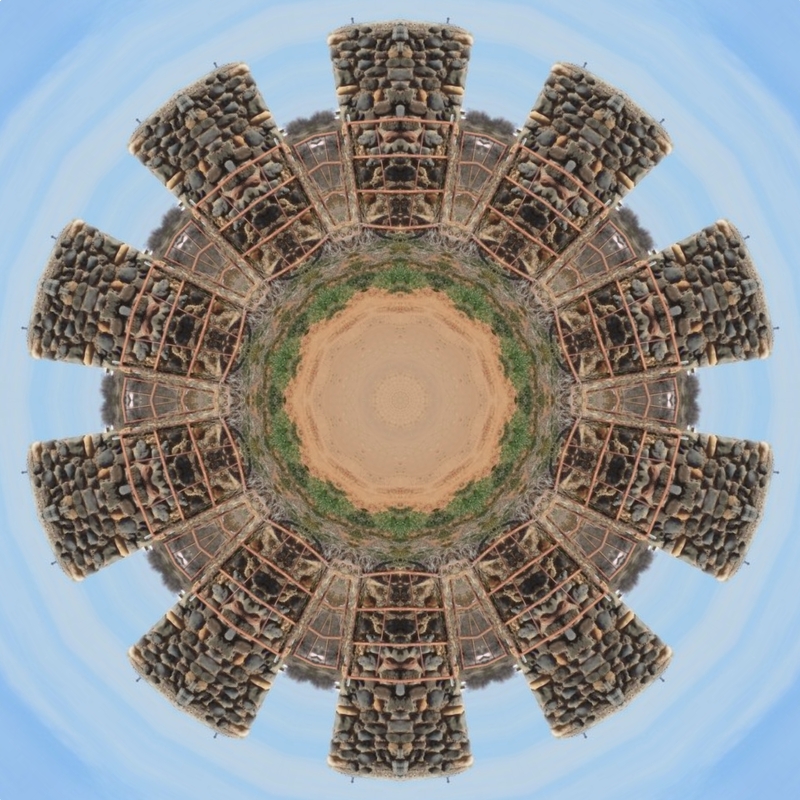 Week Twelve.....What and Where is this! An intriguing old stone building in my winter home town of Cornville, AZ an unincorporated community adjacent to Sedona, AZ where a surprising number of exotic animals are raised: emus, llamas, goats seem to be in many dooryards! Strong elements like fences, and hazy skies seem to compliment the composition don't you think. 8 by 8 inches framed, $50. Original photo: an old building on one of the ranches.